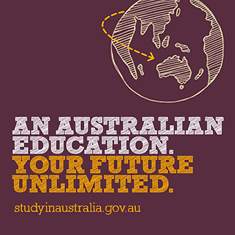 Welcome to the website of the Australian Embassy in the United Arab Emirates which contains a broad range of information on the services the Embassy provides. The information and links on this site are aimed at answering the most commonly asked questions about Australia. 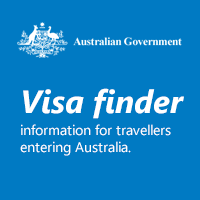 The site covers services for Australian citizens, as well as information on immigration, visas and citizenship. 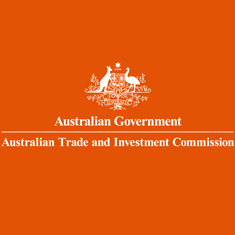 The site also contains links to the Department of Foreign Affairs and Trade and Australian Government websites. 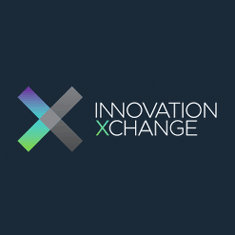 These links are designed to assist those looking for information on Trade, Australian culture or Government services. Australia and the UAE cooperate across a wide range of areas including trade, defence, security, aviation, education and health. You can find out more about the Australia-UAE relationship on the DFAT website. We regularly review and update our website and would welcome feedback from visitors on how it can be improved. 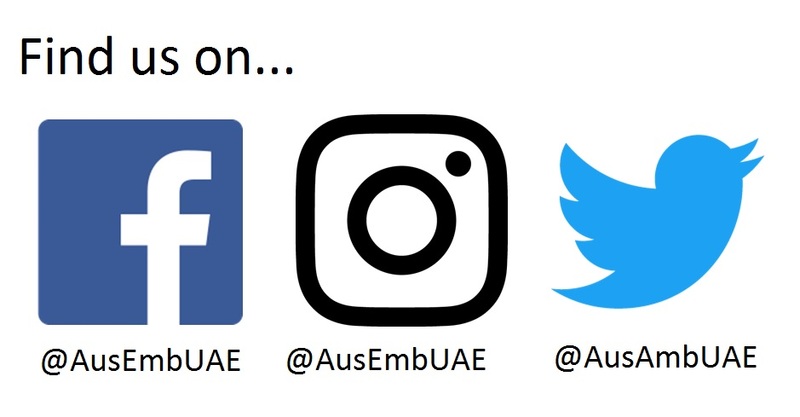 For regular updates on our work in the UAE, please follow us on Twitter (@AusAmbUAE), Facebook (@AusEmbUAE) and Instagram (@AusEmbUAE). Information regarding the upcoming Federal Election 2019 is now available. Please ensure that your Australian passport has at least six months’ validity remaining, as this is an entry requirement for many foreign countries. 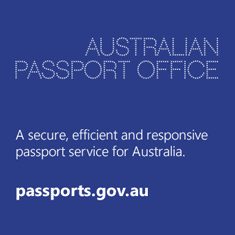 For information on applying for a passport, visit the Australian Passport Office website. For passport interview appointments, see Contact Us. Once an application is lodged successfully your replacement passport will be available for collection within 3 weeks. When researching your holiday destination, please visit Smartraveller for the Australian Government’s latest travel advice. We recommend registering your presence in the countries you visit on the Smartraveller website and subscribing to the travel advice to receive notifications of any updates. The Australian Embassy is on Facebook and Instagram! You can now find us on Facebook and Instagram. 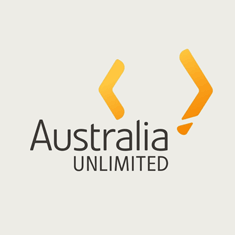 Make sure you like and follow to find out more about the Australian Embassy in the UAE! Be informed and be prepared when you're travelling. Visit the Smartraveller website and subscribe to travel advice updates to be the first to know government information when you are overseas. We also encourage all Australians living in or travelling to the UAE to register their details on Smartraveller. Your registration will help us contact you or your family in the event of an emergency.